Gearing up for its 20th year in 2018, Bantay Kalikasan held its first ever Bayanihan Para sa Kalikasan, a nationwide event of simultaneous coastal clean-ups and tree planting activities. 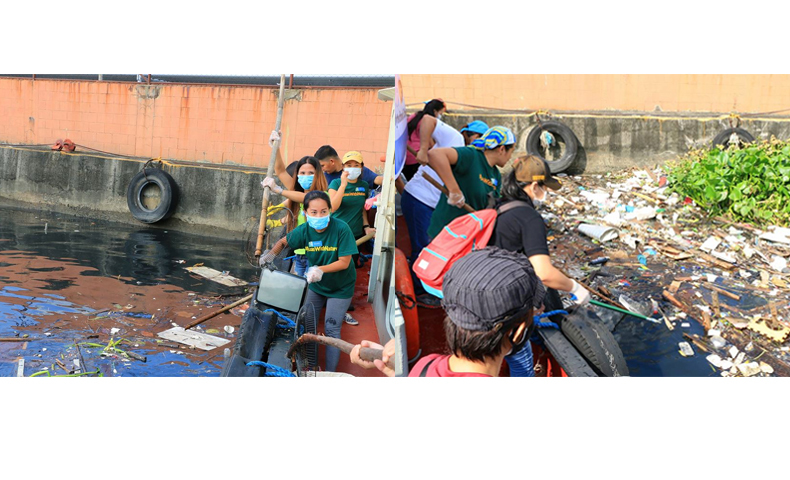 The nationwide coastal clean-up was done during the celebration of the 32nd International Coastal Clean-up Day last September 16. Over 5,700 volunteers from 11 cleanup sites participated in the event which was able to remove almost 80 tons of garbage from coastal areas and other bodies of water. Bantay Kalikasan partnered with Bayan Mo iPatrol Mo (BMPM) of ABS-CBN News and Current Affairs and other valuable partners to cover the event. The sites for the cleanup include Metro Manila, Romblon, Zambales, Guimaras, Batangas, Palawan, Sarangani, Sorsogon, and Tacloban – two sites each for Sorsogon and Tacloban. Goldilocks provided snacks for the volunteers and staff. The collected PET bottles from the clean-up will be donated to Bayan Mo iPatrol Mo which they will recycle and sell to buy mobilized wheelchairs for Tahanang Walang Hagdan. This is part of BMPM’s 10th anniversary. 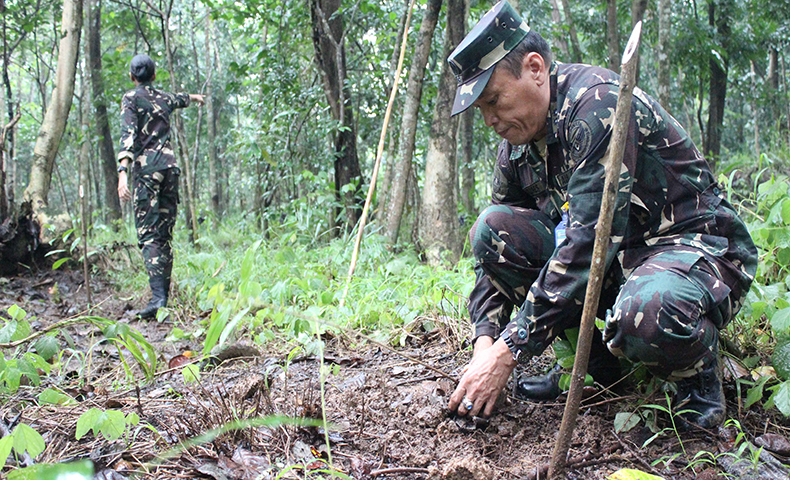 Lt. Col. Flores, a participant in the tree planting activity in La Mesa Nature Reserve, prepares his first seedling of the day. On the other hand, 1,974 volunteers participated in the tree planting activity last September 30. A total of 10,943 trees were planted in the 11 sites that day. The 11 sites include La Mesa Nature Reserve, Antipolo, Zambales, Gumaras, Batangas, Palawan, Sarangani, Sorsogon (two sites), Oriental Mindoro, Romblon, and Samar. According to the Save the La Mesa Watershed Project’s Program Operations Head David Azurin, September 30, which is the date for nationwide tree planting activity, is very important for the tree planting season. “The planting season has a timetable. The time to plant trees is only until the end of September for technical reasons. October of the current year to June of the next year is the chance for the seedlings to develop their root system. This way, the root system will be rightly developed when it’s summertime,” he explained. “This time table is also one of the reasons why we have a high percentage of survival of the trees. We have 93% chance of survival rate in our forest,” Azurin added. As of September 2017, Bantay Kalikasan was able to plant in the La Mesa Watershed alone a total of 43,200 seedlings covering 79.5 hecatres . Bantay Kalikasan’s theme for its 20th year is ‘Every Filipino, an Earth Warrior’. This land mark event is just one way of encouraging and making people realize that even in their own ways, they can help in preserving the environment for future generations.